With over 16 years of real estate sales and management experience and thousands of closed transactions, Dan Marrello has always brought a tenacious work ethic and enthusiasm to the process of renting, purchasing or selling a home. As Senior Managing Director at Compass’ 111 Fifth Avenue office, he draws on his 16-year tenure as Senior Managing Director at two other leading NYC brokerage firms and is focused on building an even more dynamic and multi-faceted business at Compass with all it has to offer. 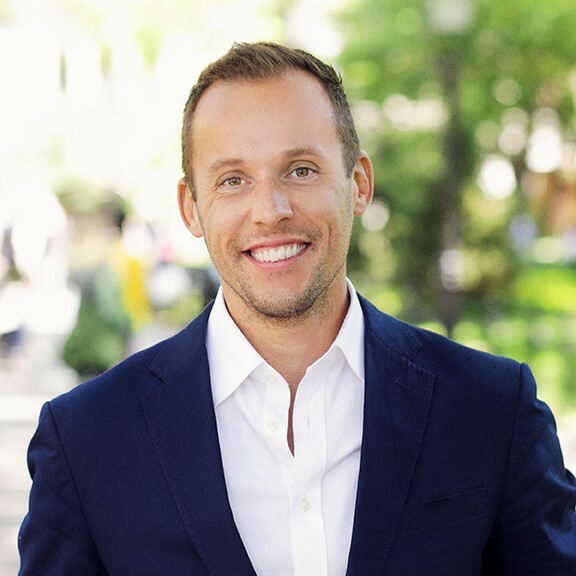 Dan’s vast knowledge and industry connections, coupled with the unparalleled service, professionalism and leadership skills, are invaluable in navigating the intricacies of the NYC market. Remaining constantly “in the know” about everything going on with local and global real estate trends, he effectively educates both his agents and clients on making better decisions and deals. Originally from Bergen County, NJ, Dan holds a degree in Finance from the University of Rhode Island. He has always worked in the service business where he’s continually followed the “customer comes first” philosophy. Dan also owns 2 boutique fitness gyms, F45 Training on the Lower East Side and soon to be in Dumbo. Outside of his work commitments, he enjoys snowboarding, travel, and fitness. Dan has completed seven triathlons including the NYC twice, plus has run the NYC Half Marathon twice.